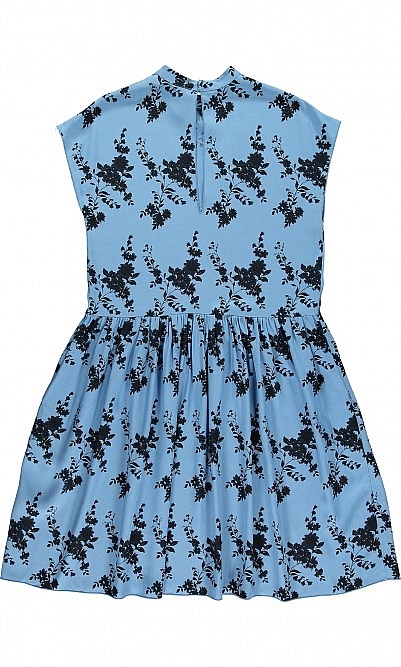 Pleasingly weighty sky-blue dress with black chinoiserie design. 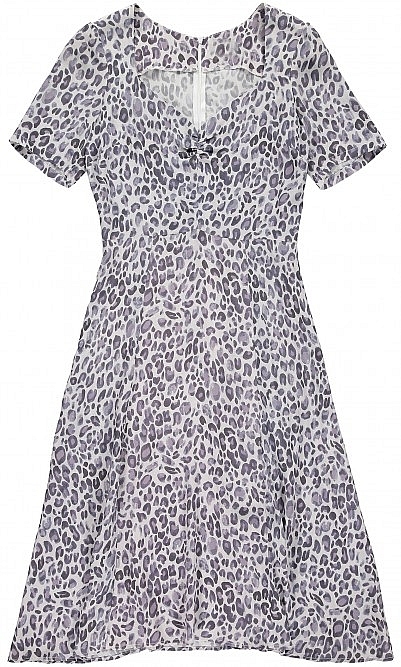 Loosely cut with gathered skirt, narrow high neck and back keyhole opening. Side pockets. L95cm. Fabric and care: 100% viscose, a plant-derived fibre. 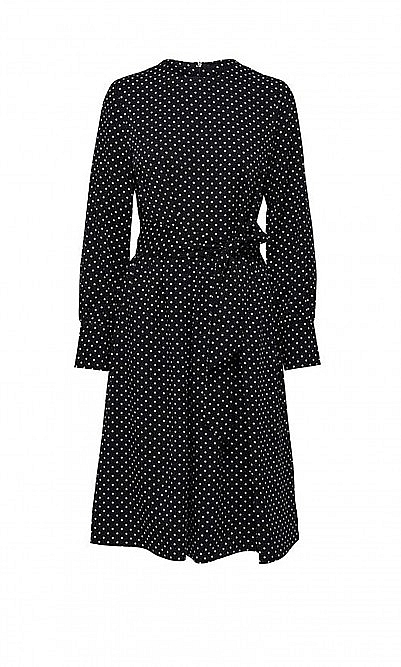 Cool, gentle wash.
It’s beautiful dress , nice fabric, I am size 16-18 and Xl feet nicely, slightly loose , what I like only length was too short for me ,I am 5’7 . I think there a mistake in the description about length of the dress, it’s didn’t even cover the knee . Sadenly return .